In both cases, I was lucky to have written good contemporaneous notes that I was able to look back on. They not only helped me remember the particular case, but also to demonstrate that I am a competent clinician to the board. I could not imagine being hauled up and not have sufficient details to help explain my actions. Take good notes, its a must. 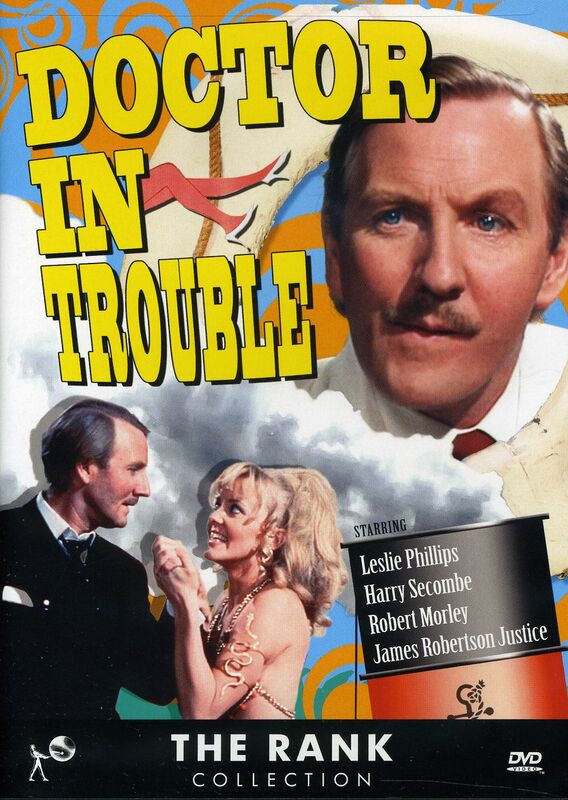 In trouble for that mo! Again on both occasions, my first phone call following the notification was to my medical defence organisation. They helped set up a file, had their team look over the case and help me draft a response. Although some doctors may feel comfortable handling the response themselves, I certainly had immense support from my MDO during what is a difficult time. You will save a lot of hassle if you wish to defend yourself from any action the board may take if your MDO is on board from the get go. When it comes to writing your response, make sure that you let the reader know the situation you are working in. That might be an overcrowded or busy ED, rural location without support, walk up clinic and everything in between. Without coming across apologetic, if you at least provide some background, the board can put your situation in context. Often your character or actions will be disputed by the complaint. Fight back! You know yourself the sort of doctor you are and why you joined the profession. If you have collegues that can appropriately support you in writing, do it. These are the people that know best how you work day to day. Not a single patient, family member or doctor you’ve never met. Talk with someone about the situation. Even though I would consider myself a moderately resilient person, when you get that first phone call or letter, your heart sinks. Here you are practicing in a profession that aims to improve the health of others and the big stick gets pointed at you. For me I felt many emotions both times, often all at once! In order to continue practicing and maintain a love of doctoring, I needed many chats with close friends and collegues. I also needed to keep working. The patients that thank you for your time and help can certainly heal a bruised ego. Unfortunately it only takes those one or two complaints (whether justified or not) to damage a whole day of grateful patients. Talking with Sian, a newly qualified speech pathologist about growing up in the country and now working as a speechie in these areas. We also cover the future of social media connecting with patients in her profession. Talking with final year pharmacy student Ben Crough. 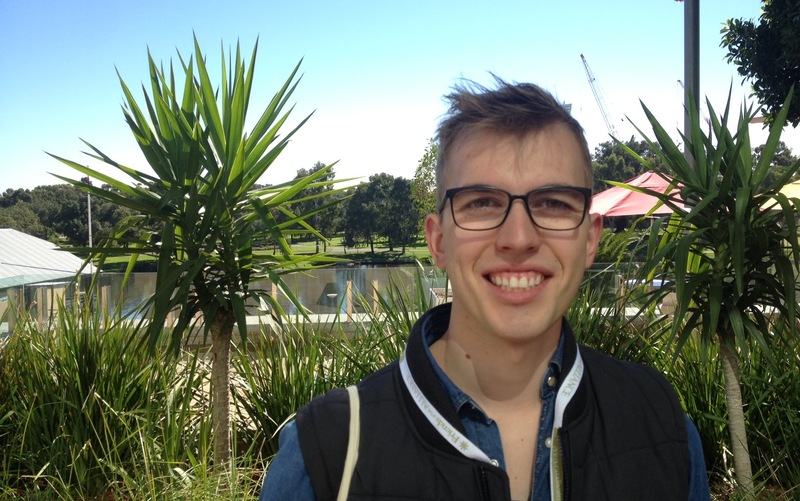 He grew up in rural NSW and is aiming towards working in remote areas. Another Robbo (@bitethedust) for outback Australia perhaps?! Talking with medical student and the current GPSN chair about his time studying in rural areas. 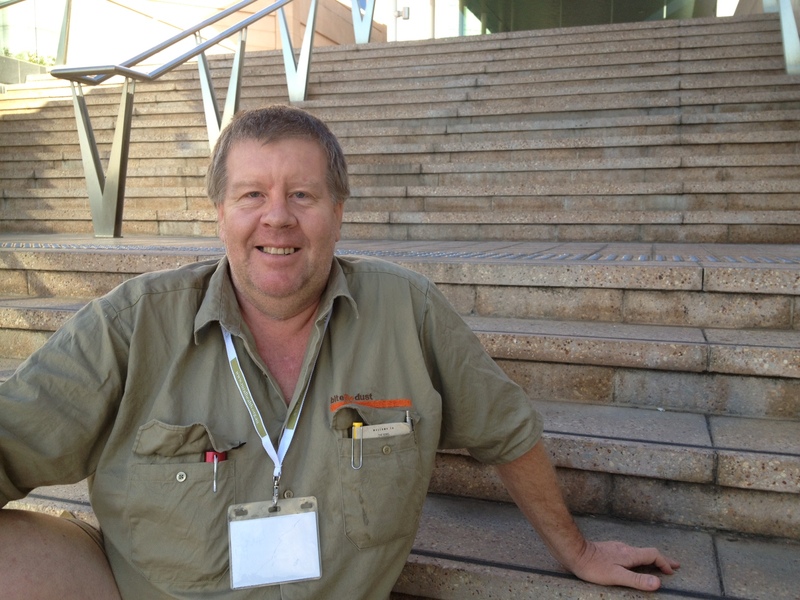 Dave is in 4th year at the University of New England in Armidale. He grew up Tasmania and has lived in country Victoria. Talking with Australia’s most remote and itinerant pharmacist. Some say he travels around because no one can stand him for longer than a few days, but we know it’s because he loves his job working in rural areas. We cover issues facing pharmacy in these settings. Talking with rural mental health advocate and ‘power-tweeter’ Alison Fairleigh about living in the country and what motivated her to do something about her passion of mental health in the bush. 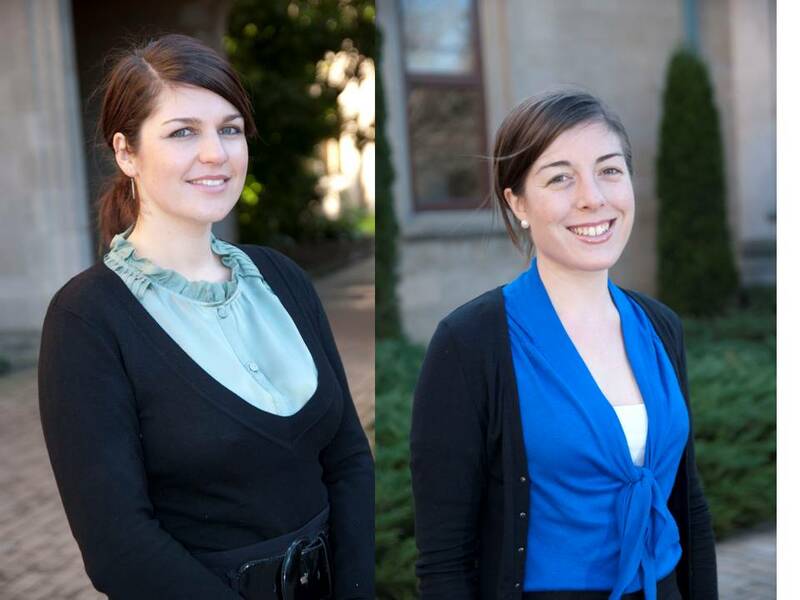 Talking with Katherine and Rachael who are both medical students in Victoria about their presentation at NHRC 2013. They looked at the supports and challenges for medical students on rural placements. Talking with Donna Burns about working and living in the country and what took her there. 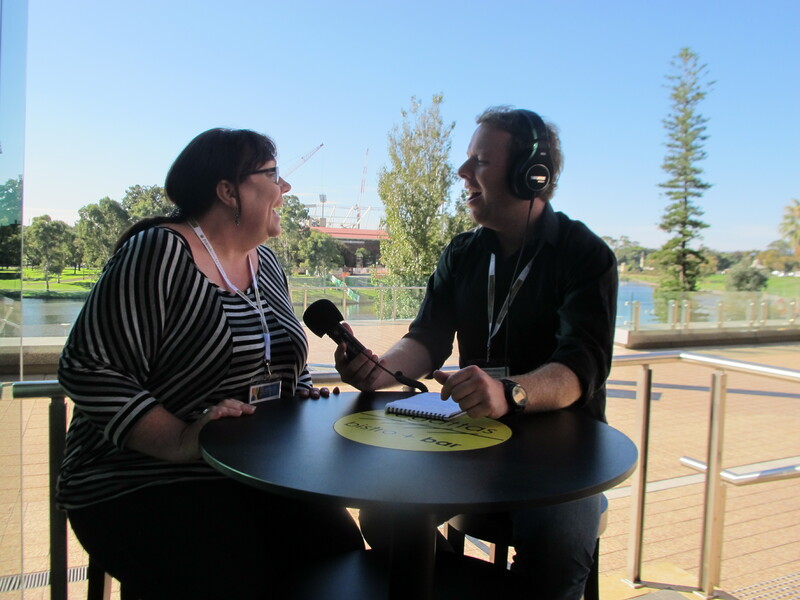 Donna currently works for Hunter Medicare Local in both rural and larger regional towns, but has some ideas if she was the NSW Health Minister! 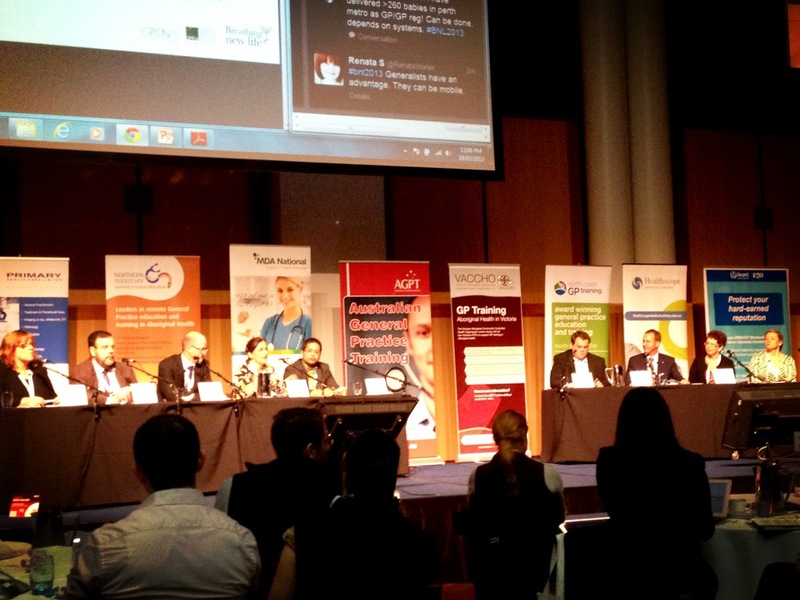 The Leaders’ Forum discussing GP Workforce 2025 was one of the highlights of the conference. Chaired wonderfully by Dr Emily Farrell, it comprised a veritable who’s-who of GP leadership. Prof Murry from ACRRM (covered in the early stages by Dr Davies), Dr Hambleton from the AMA, GPRA Chair Dr Vergara, GPSN Chair Mr Townsend, Dr Baker from NGPSA, Dr Marles from RACGP, Dr Kammerman from RDAA, Sharon Flynn chair of the RTP CEOs and Prof Kidd (no introduction required!). #bnl2013 with increasing number of students graduating & entering into general practice training-is there any push to increase educators? 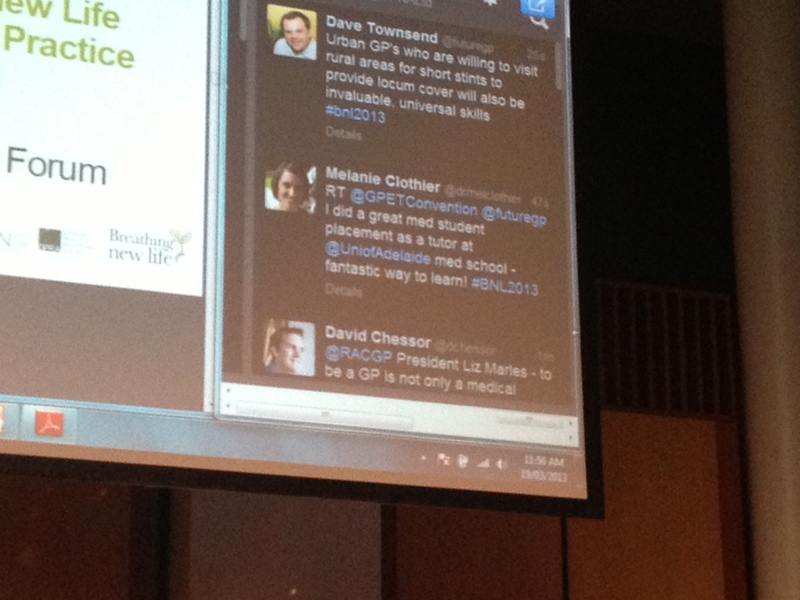 #bnl2013 medical students to have their own GP mentors 2 assist with pathways & advice about personal & professional futures? #BNL2013 what is the plan for increasing general practice research capacity with a vision to bring Australian GP research to the forefront? Briefly summarising the latest in GPRA news and updates, Mr Amit Vohra was also proud to launch the new look GPRA website. He told everyone of the brilliant work of GPSN and its incredible cost-effectiveness as a GP promotion tool. Amit also pointed to the Going Places network as the fastest growing of them covering 65% of Australian teaching hospitals while filling the “black hole” that some GP registrars find themselves in while working there. Some of his final remarks centred around the jump of 25% to 35% of all AGPT applicants having been involved in one of the programs. What an amazing pipeline that I’m sure will only increase in calibre and flow (no urology jokes). #bnl2013 ADF. The ultimate medical corporate. Military medicine presentation – very exciting but I'm just a little scared.. #BNL2013 "we tubed him in the sand and choppers him out" sick! #bnl2013 aren't the muffins yummy? The affirmative took a military approach led by Captain Summerscales, Brigadier Maxell and Corporal Considine who contended that we are at war against maldistribution and that we must form a Coalition of the (Medicare) Billing. 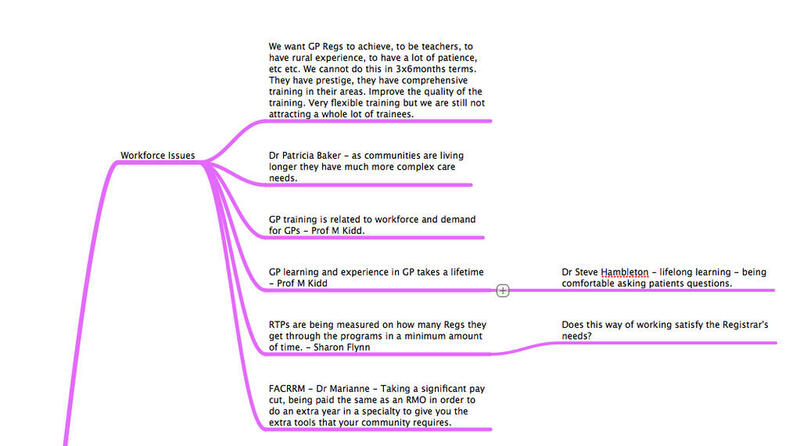 #BNL2013 debate – negative team calls for generalists to focus on the good work we do. #bnl2013 had an amazing day- thank you organizers! For the students it was an inspiring day to hear about the benefits of a career that they may consider. 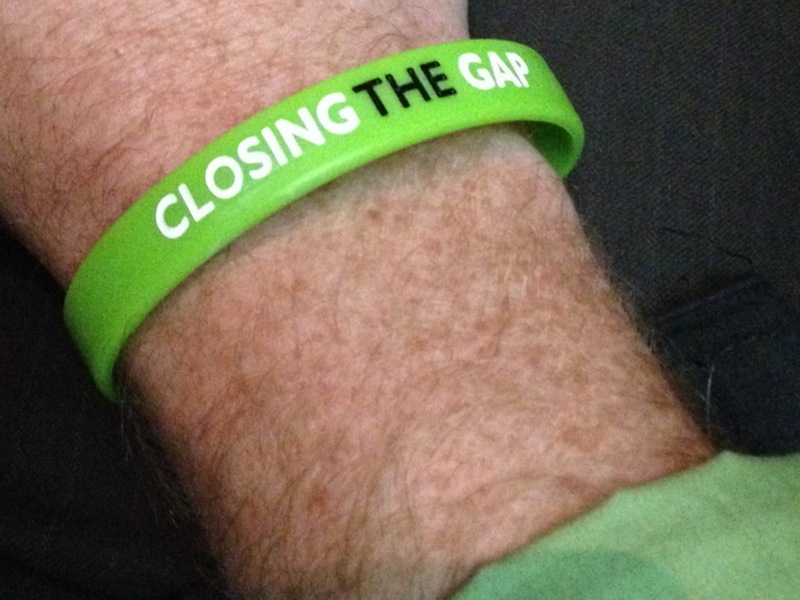 For GP registrars it was sobering to understand the challenges facing them into the future. For current GPs it must have been heartening to see a motivated group of young students/doctors ready to answer the call for Australia’s health workforce into 2025. For the associated GPRA staff and organisers it was once again another truly magic day and I for one thank them one thousand times over. Until next year, ruralflyingdoc at Parliament House, signing off. DISCLAIMER: If any of Part 1 or 2 of this BNL summary ends up in Mr Amit Vohra’s GPRA report, then I am not pressing charges. He will however be buying me drinks for the entirety of GPET 2013…. 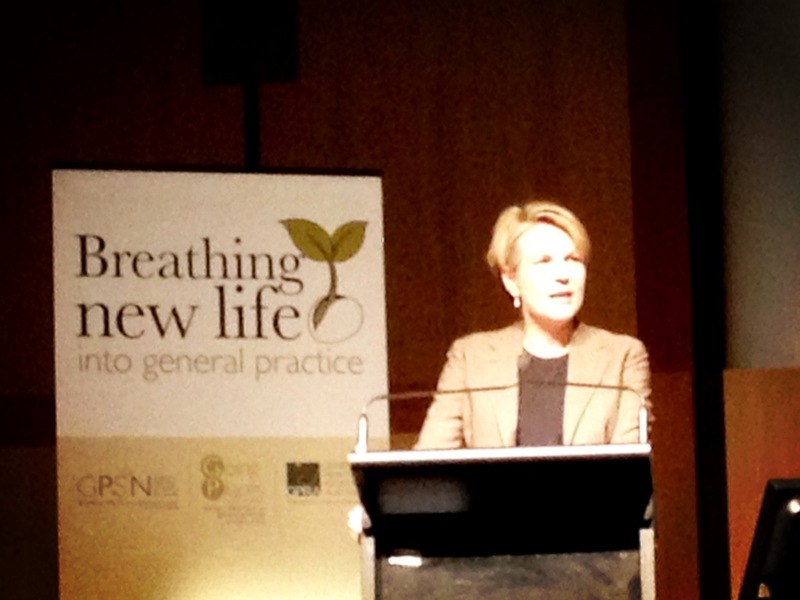 It is quite fitting that I sit down to write this summary of the Breathing New Life (BNL) conference held in Canberra recently. At the conference last year, I was so inspired by the stories of other GPs and the use of blogs and twitter, I decided to start my own blog. It is the one you are reading now. Since then I have kept updating my flying training progress, commented on social media policy in healthcare and attempted a humorous post (or two). 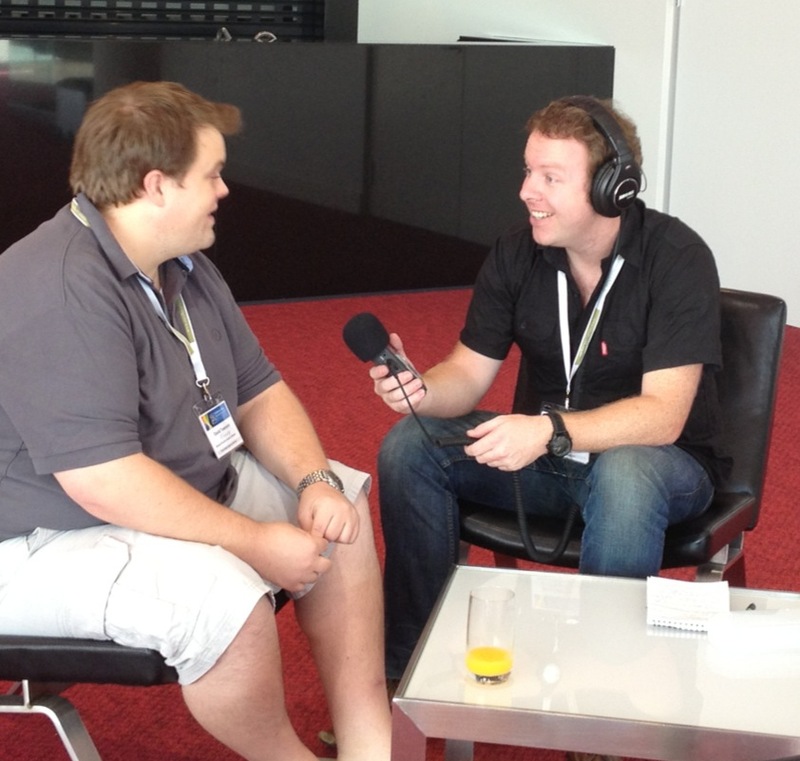 Unfortunately, I never got around to summarising my experience at BNL 2012 and you can still see the lonely post here. But luckily, I was inspired once again…and hopefully a little more motivated and better at writing! The BNL conference is the annual showpiece event for General Practice Registrars Australia (GPRA). They are the peak representation body for GP registrars in this country. In the past, GPRA has successfully advocated for National Minimum Terms and Conditions, timely GPRIPs funding, teaching guidelines and many other registrar issues. 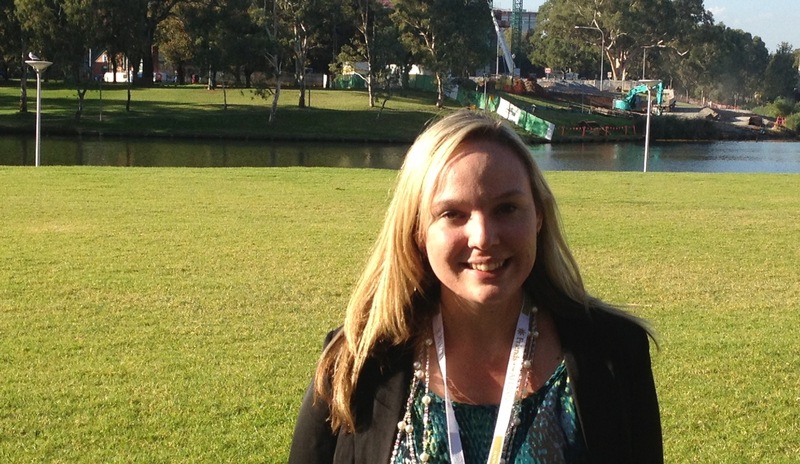 As a Registrar Liaison Officer with my GP training provider, I am lucky enough to sit on the advisory council of GPRA. We meet bianually before BNL and GPET conference in September to discuss such issues and workshop solutions. Following this brief look at the future, we were allowed a moment to reflect on the amazing work done by the General Practice Student Network (GPSN) which celebrates its fifth anniversary in 2013. We heard of humble beginnings and a huge base of support that now includes over 9,500 student members. This we were told, had been largely driven by the tireless work of council chairs, their councils and the representatives on the medical school grounds holding numerous events. #BNL2013 Happy 5th anniversary GPSN! #bnl2013 Happy fifth birthday GPSN! Love your work! #bnl2013 GPSN turns 5 years old! Now 21 med school clubs events entirely dreamed up, hosted, driven and held by students exploring GP opps. Indigenous health was a highly anticipated topic of the day and was supported by the GPRA Closing the Gap campaign launch. We heard from The Hon Warren Snowdon who stated that “GPs have an important central role in improving Indigenous health.” MP and Dr Andrew Laming MP noted in his speech that the “100,000 Indigenous people living in remote communities will be the real test of the Close the Gap efforts.” It was refreshing to hear bipartisan support and understanding for once. 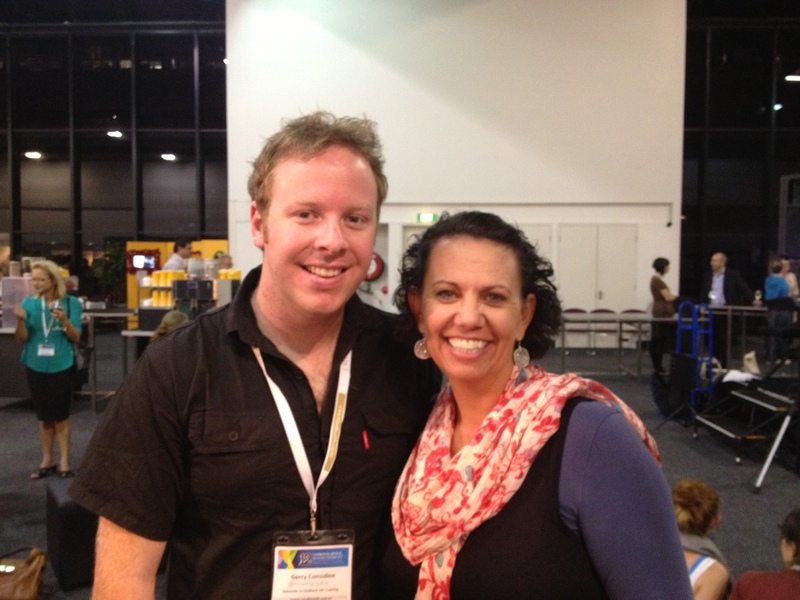 Aleeta also shared some gems about encouraging young Aboriginal children to join the GP workforce. She showed that it was as easy as asking “Are you going to be a doctor like me? ‘Coz I need your help!” Planting the seed early with children and especially their parents was the message. Getting across to the family that this prospect is actually possible. The facilitator Dr Mark Wenitong tempered that he would always check a kids ears for pus before putting the stethoscope in their ears! RACGP president Dr Liz Marles weighed into the benefits of AMS work given her long experience in the area with comments like “learning from patients every single day”,”…rewarding place to be” and “patients are non-demanding, generous and trusting” leading to many registrars thinking that these traits in patients have been lacking in their own non-AMS practices. To come in part 2: The Great Debate, general practice and the defence force, GP Leader’s forum, the GPRA update from CEO Mr Amit Vohra and plenty more tweets! A 56 year old man presents to your GP clinic with generalised fatigue and darker skin recently. He has an uncle that needs blood drained every few months. What test results would confirm his diagnosis of haemochromatosis? 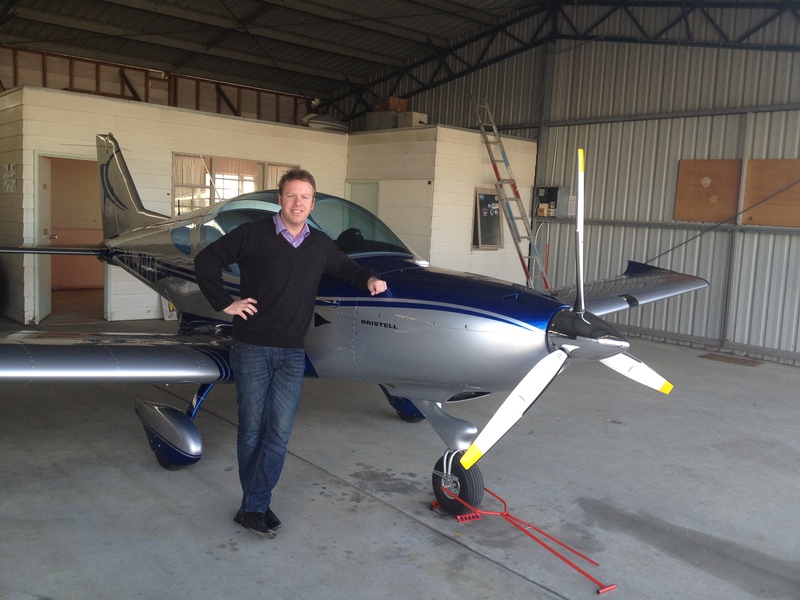 And so I started my first GP placement and my flying training after generous encouragement from Dr. Scott. Following this first year of starting both country GP and flying training, I started to notice some similarities between the two. But GP training is not the first within the medical field to be compared to the aviation industry. Anaesthetics has famously been linked to aviation in the past. And it’s not limited to both sharing the first letter of the alphabet. The obvious comparison involves the separate components of a typical flight and anaesthesia. Take off or induction, cruise on autopilot or maintenance and finally landing, or recovery. The other obversed similarity is that both professions can operate on the basis of 99% boredom, 1% sheer terror (or as one doctor so eloquently put, that moment of “S**T S**T S**T!“). The concept of anaesthetics learning from aviation was first described to me by a consultant as a 4th year student at Flinders Medical Centre. He discussed the case of Elaine Bromiley, who tragically died after unfortunately falling into the can’t intubate/can’t ventilate scenario. Her husband, an airline pilot, questioned the lack of standard operating procedures and checklists that were commonplace in his field. 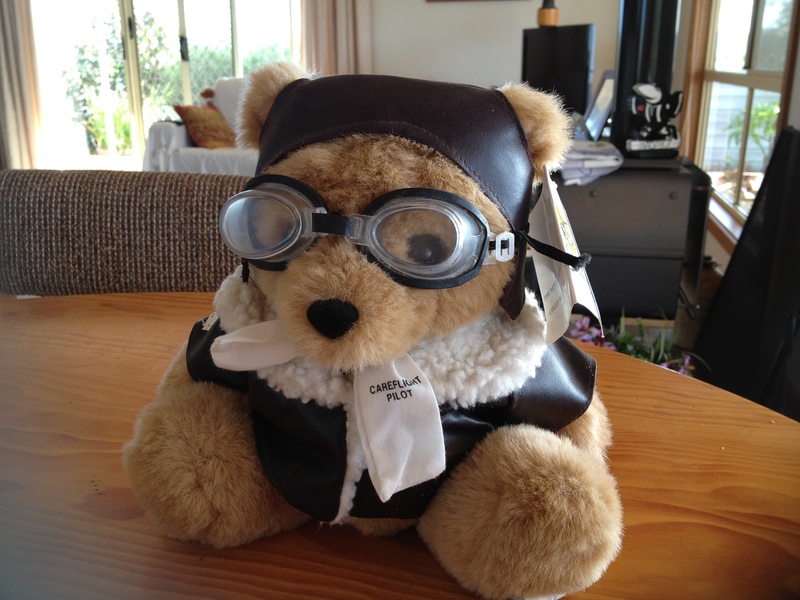 Dr. Leeuwenburg in KI commented in late 2011 on this association and brought to my attention an amazing analogy involving the dashing British flying ace Biggles found here (well worth a read). In flying training, there is a substantial amount of theory that needs to be learnt prior to gaining a recreational or private pilot licence. 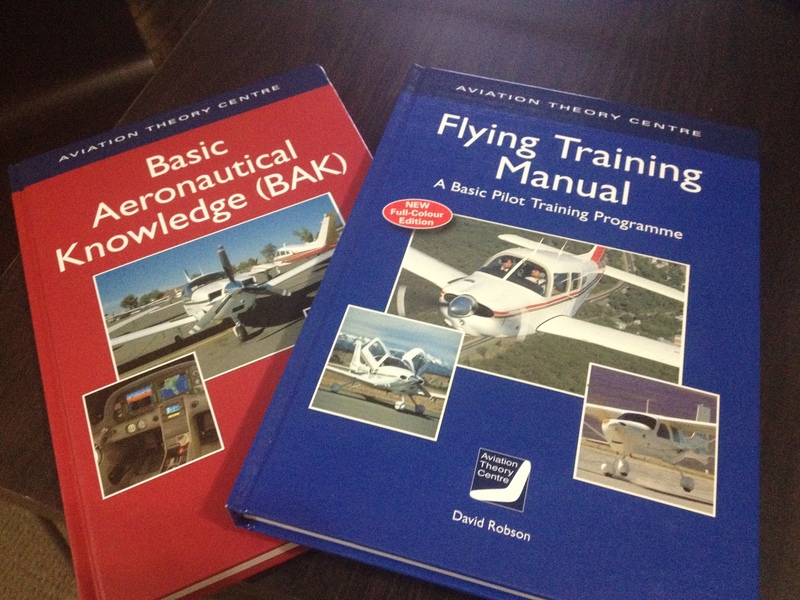 These are often in the form of books and sometimes a discussion with the flight instructor. Many medical courses require a few years of theory and required knowledge before being ‘let loose’ on the patient population. In the past it boiled down to knowing the nuts and bolts of the field in question before taking to the air or wards. 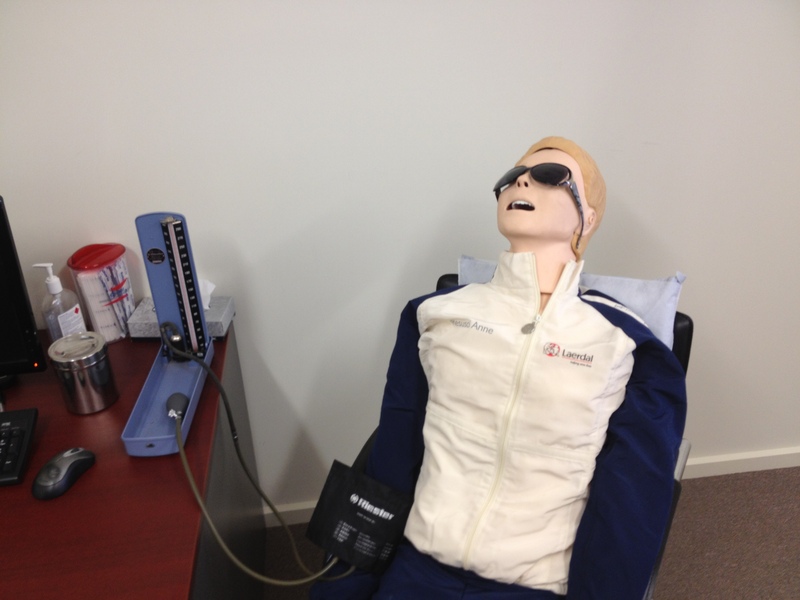 Nowadays the curriculum for both flying and medical training integrates both practical and theory from the outset. As a young lad I was a sucker for Microsoft Flight Simulator and took great (nerdy) joy in pretending to fly planes around the world. From top airline pilots to those learning to fly small aircraft, simulator training remains an inexpensive and safe way to practice emergencies. The same is true in general practice using mannikins, standardised patients and Observed Simulated Clinical Examinations (OSCE). These enable practice, honing of skills and assessment of doctors in a way that is safer for real patients. In flying, it is important to practice difficult landings regularly. These can involve crosswind technique which need complex control inputs that allow the plane to land safely. Importantly, different crosswind conditions are tackled as no two landings or winds are the same. This is similar to GP where each patient is an individual, each one requiring different techniques. Especially ‘cross patients’. Pilots are very familiar with maintaining a proper logbook and it’s something that I started last year when I took to the skies. Logbooks are a great way to demonstrate your experience in a clear and consistent format. I have also found it good to look back and relive the journey, much as this blog has helped. We are also required to keep a procedure log for the different skills that we might be exposed to and learn during our GP training. This is an online platform and has been beneficial (and will continue to be good) in highlighting any deficiencies that need to be addressed. It goes without saying that both aviation and medicine require thorough assessment of candidates who are entering a high stress workplace that has very little margin for error. Therefore both fields undergo a number of both practical and written exams to ensure that these fledgeling pilots/clinicians are of a reasonable standard. Fortunately, aviation exams are infinitely more fun, but on windy days can be just as nausea provoking as medical exams. Then the time comes after hours of learning theory and practicing procedures, landings, consultations, takeoffs, examinations and stalling (applicable to both fields!) for the pupil to go it alone. [Side track: Go It Alone being a fantastic track by Beck with a guest bass guitar by Mr Jack White]. It’s time for the first solo flight or consultation! Both will always be memorable, a mixture of sheer terror and adventure. However in both areas, the supervisor or flight instructor is only a room or radio call away respectively. Fortunately in GP if things are going pear shaped, your supervisor can come in person to help. In the air, you’re on your own and may end up literally pear shaped. Throughout training in both fields there is a massive base of shared knowledge available. Increasingly, many of these resources are online and even use novel platforms like smart phones and tablets. YouTube videos can also explain difficult concepts ranging from crosswind technique to vertical mattress suturing. The advent of free open access information has started to take off in emergency and critical care medicine and I wonder if something similar might begin in flight training. In private aviation, there is a requirement for a biennial flight review (BFR). 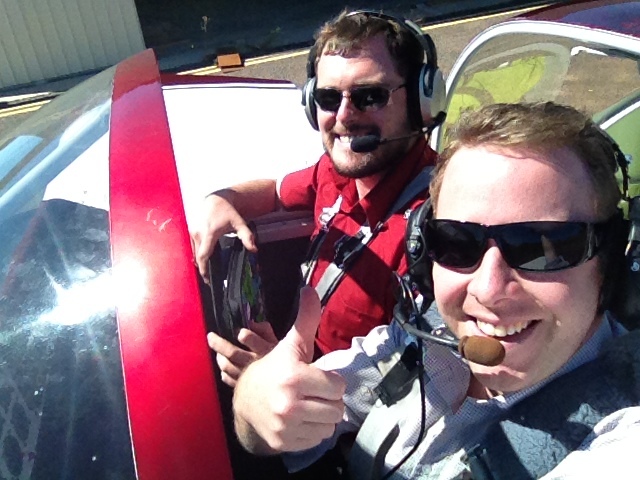 This involves a check flight with an instructor to make sure that no bad habits have formed. Similarly, all GP registrars (trainees) within most training providers, a medical educator visit (MEV) takes place. This is an opportunity twice a semester for another doctor to sit in on consultations to see how the registrar is progressing and if there are any problem behaviours developing or major gaps in knowledge. CHF, CHT, PPL, PVD, RA-Aus, RSI, EFIS, ETT, GPS, GPRA, APO, APU…enough said. Both fields are often afflicted with what I like to call acronym overload or AO for short. So as you can see, there are plenty of similarities. This probably highlights the fact that both fields need to produce highly trained practitioners that often work in stressful environments. Their assessments need to involved observed work so that their performance can be best judged. 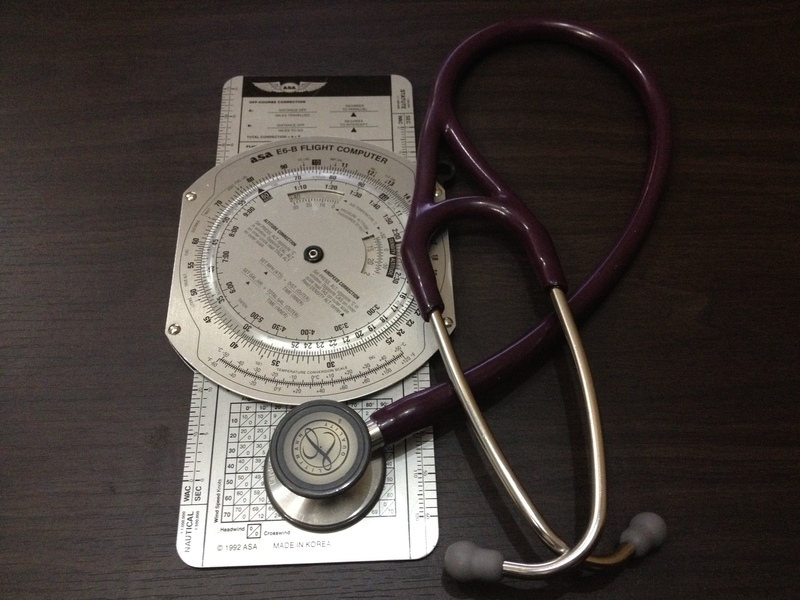 In many ways medicine has learn a lot from the aviation field. But I have certainly applied much of my medical knowledge or communication skills to aviation. Happy to hear your thoughts!